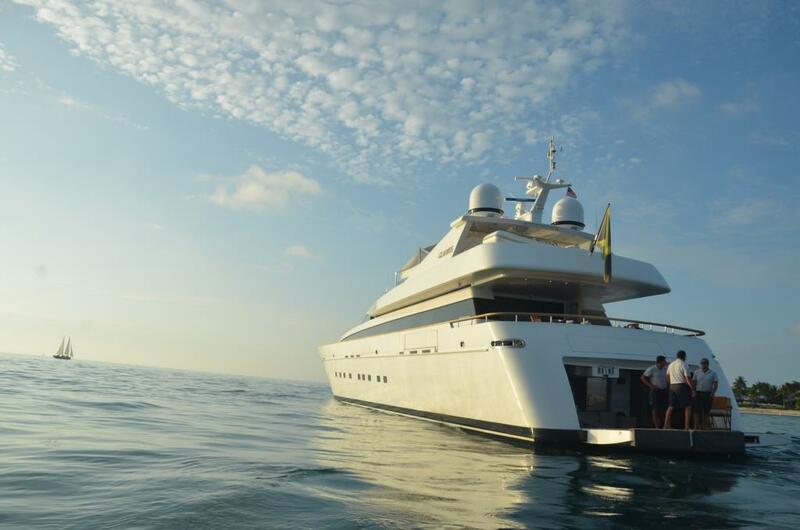 ‘Gladius’ is a 127ft /38.71m Akhir 125 motor yacht built in 2007 by Cantieri di Pisa and last refitted in 2016. 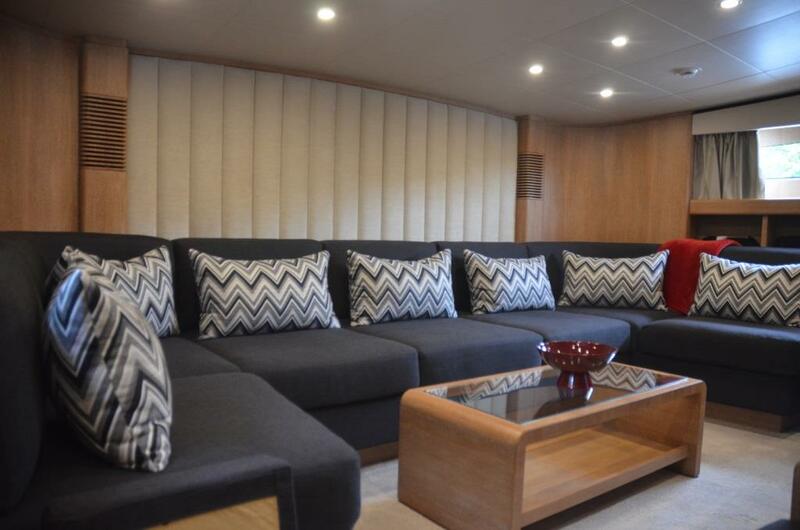 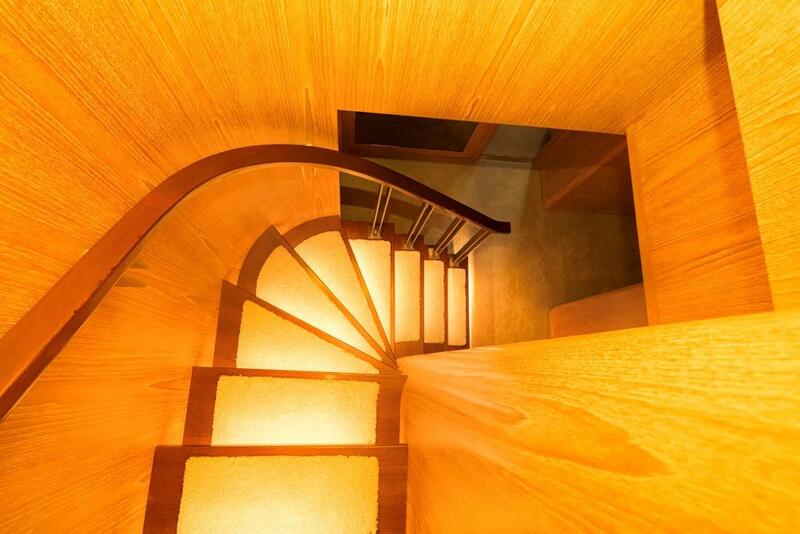 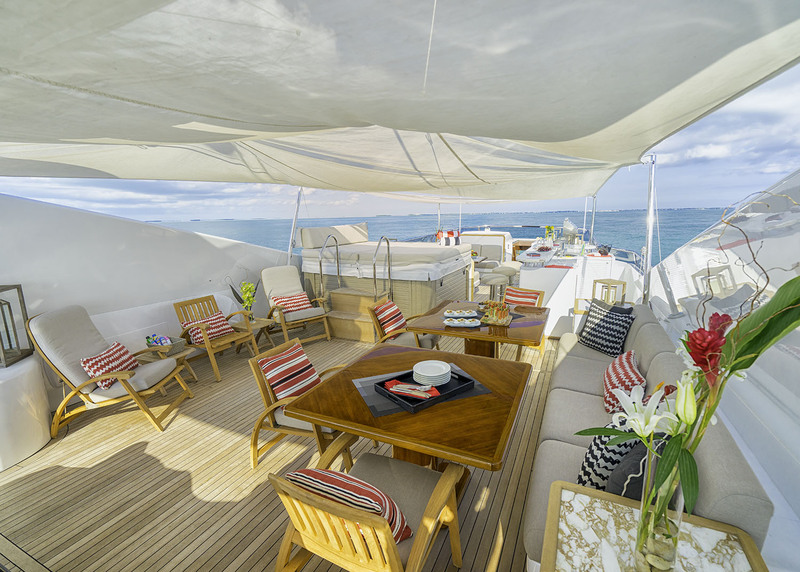 Her stylish exterior is the work of Cantieri di Pisa, and her stylish interior design is by Carlo Paladini. 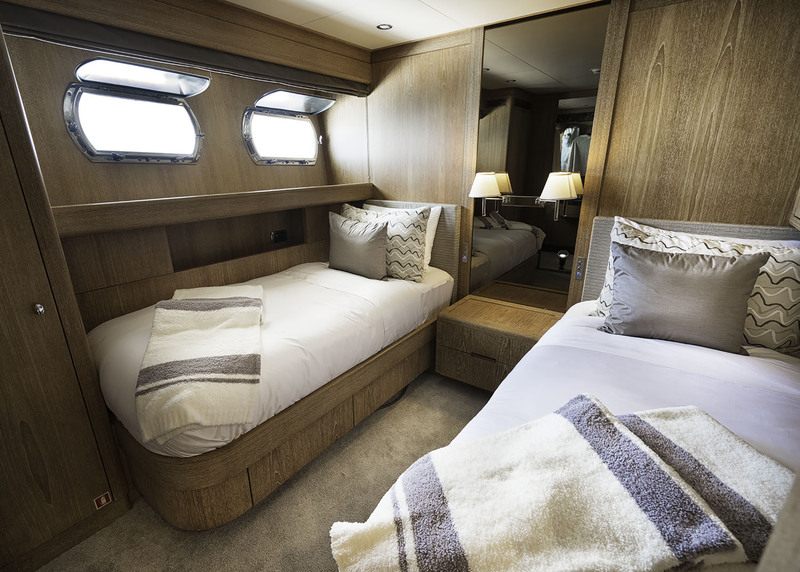 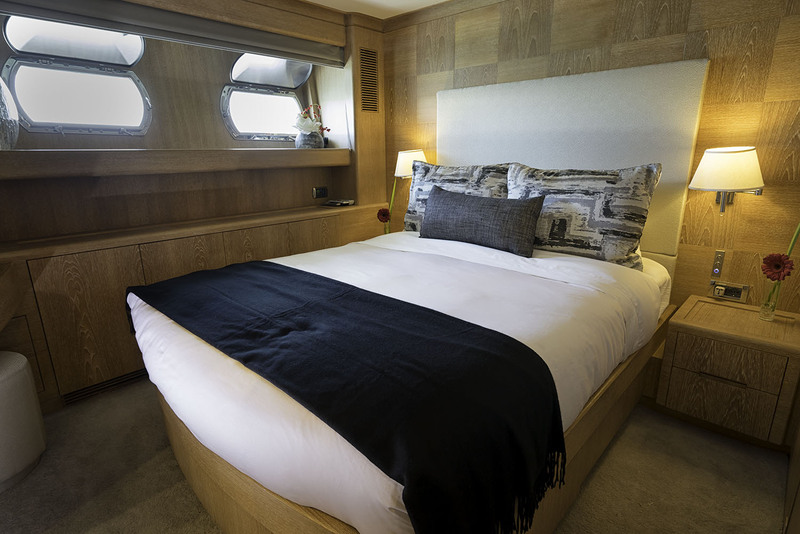 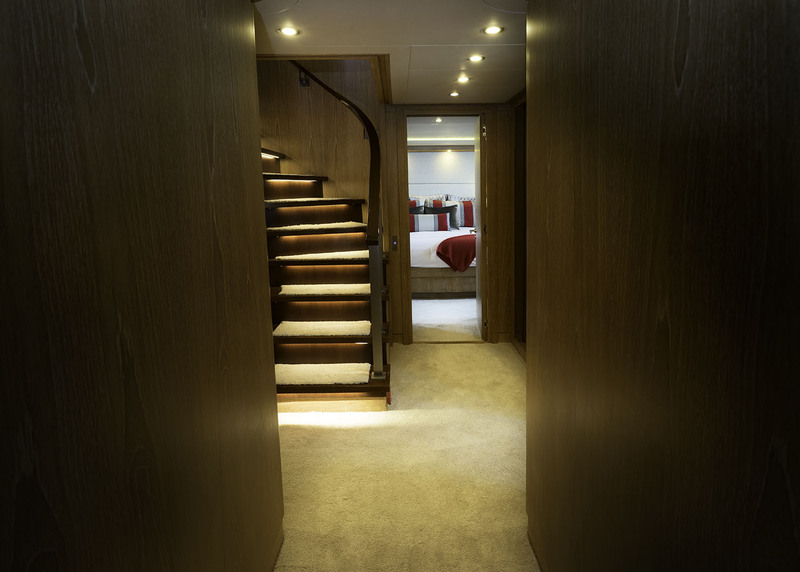 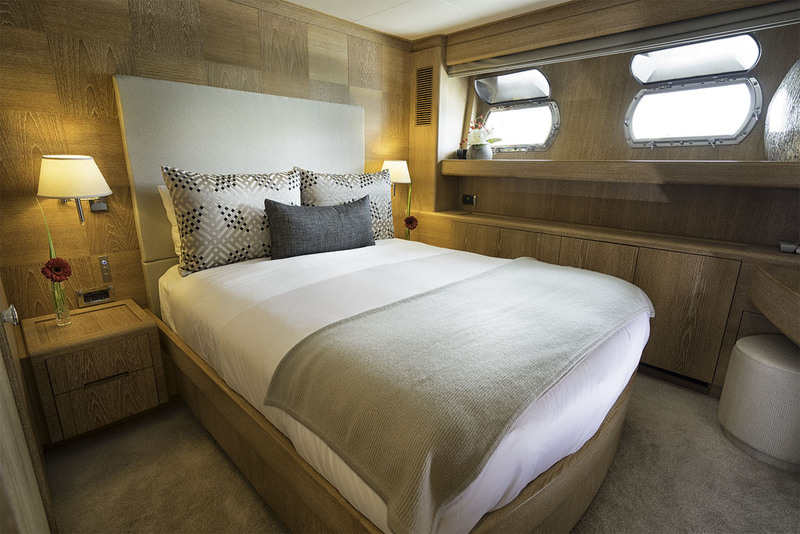 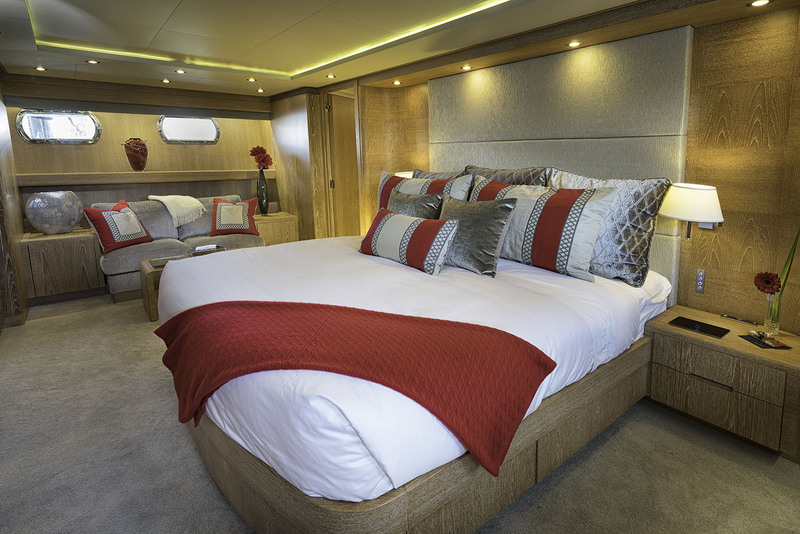 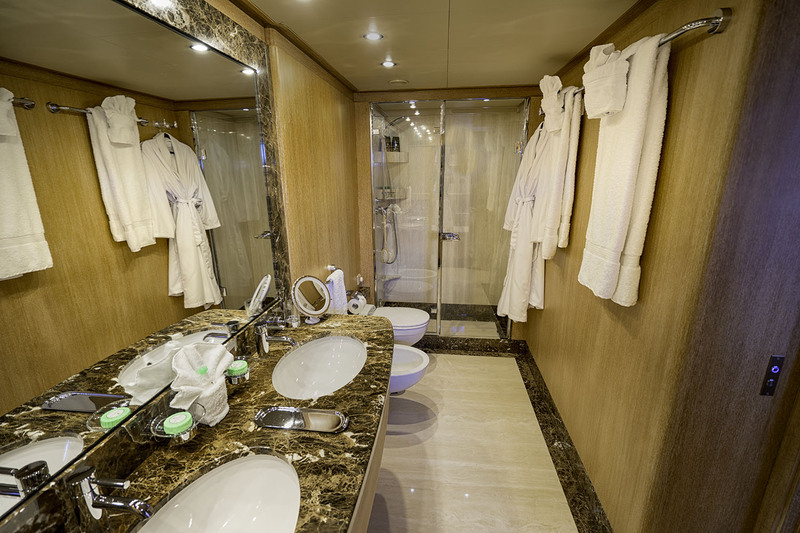 Gladius’s spacious interior layout sleeps up to 10 guests in 5 rooms, including a master suite, 2 double cabins, 2 twin cabins and 2 Pullman beds. 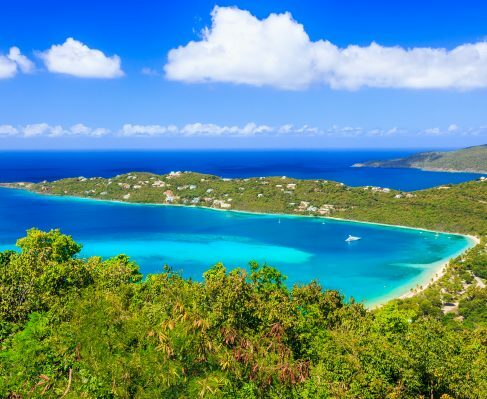 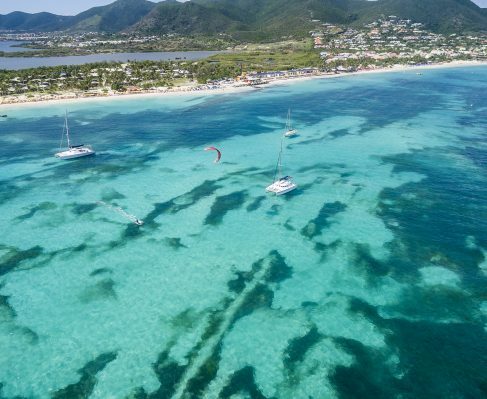 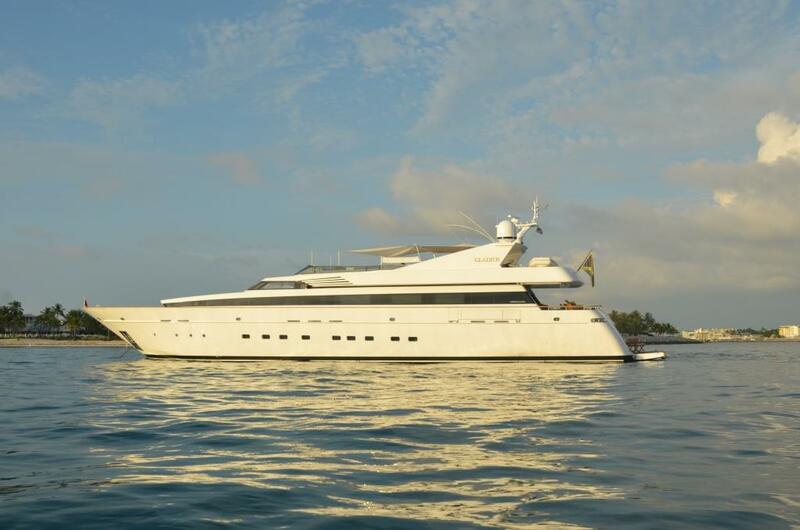 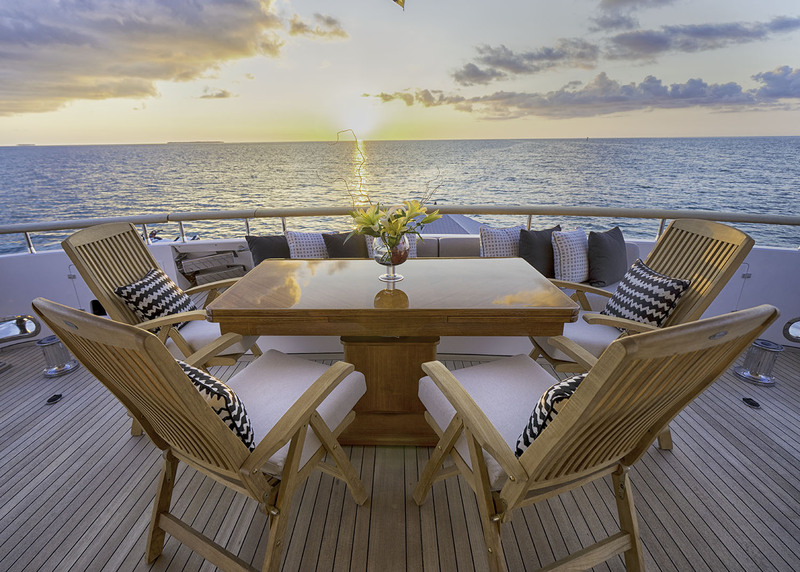 She is easily capable of carrying up to 7 crew members onboard to ensure you and your guests get the most out of your luxury charter vacation, making full use of all the amenities and leisure facilities onboard this yacht. 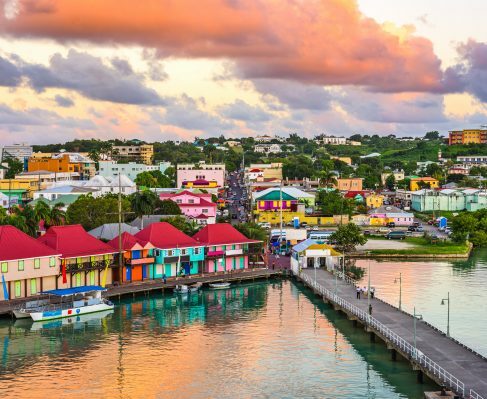 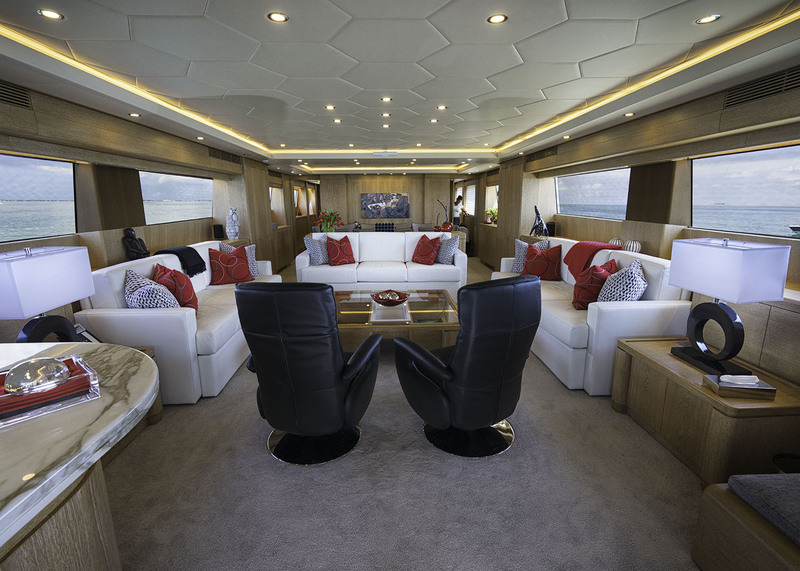 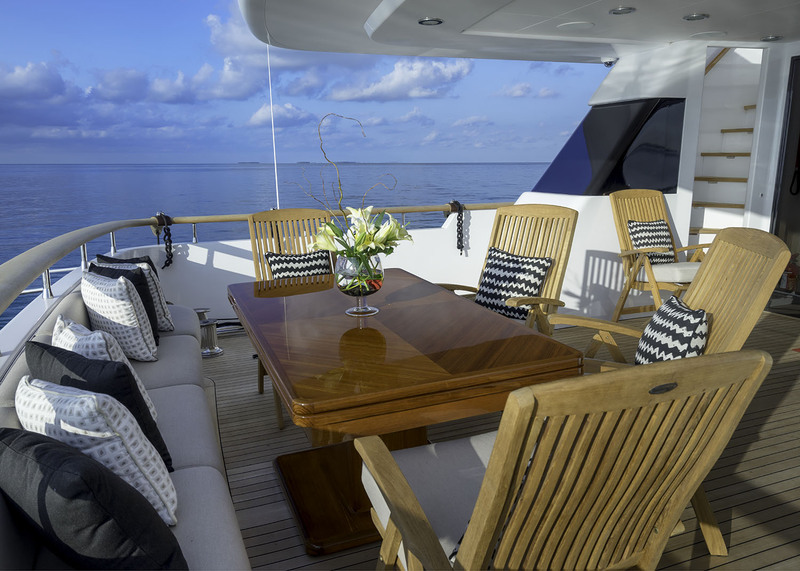 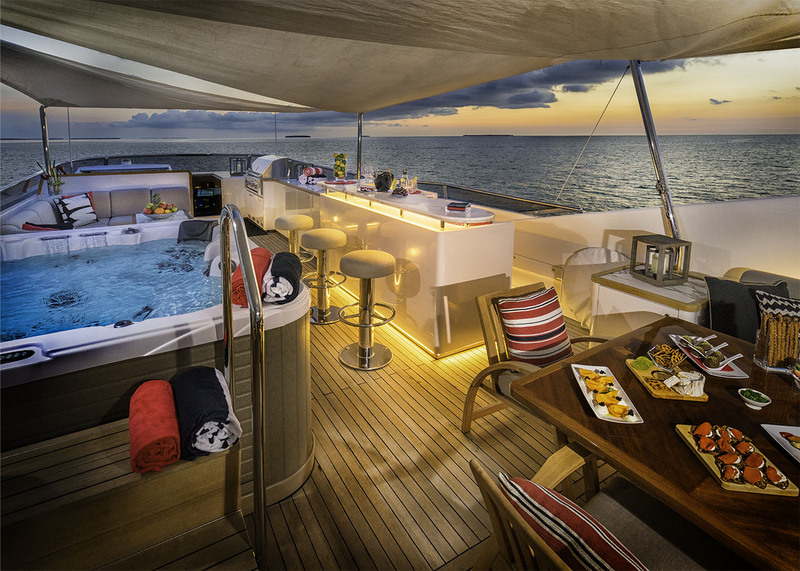 Her impressive leisure and entertainment facilities make her perfect for entertaining friends and family on your charter vacation. 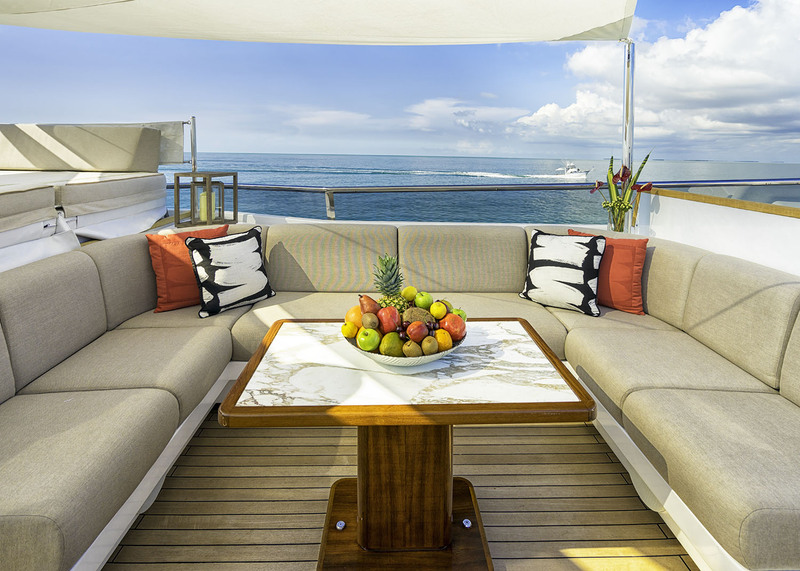 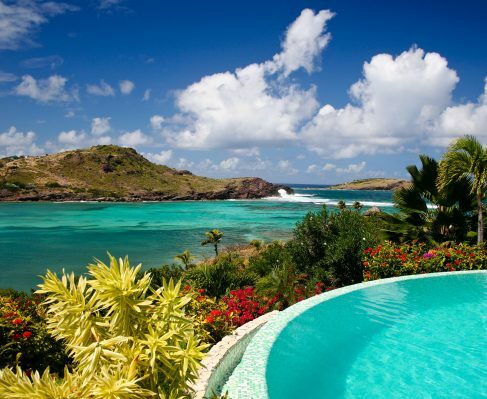 There’s lots of space for enjoying a lavish lunch, delicious dinner on deck, or simply lounging in the sunshine and topping up your tan. 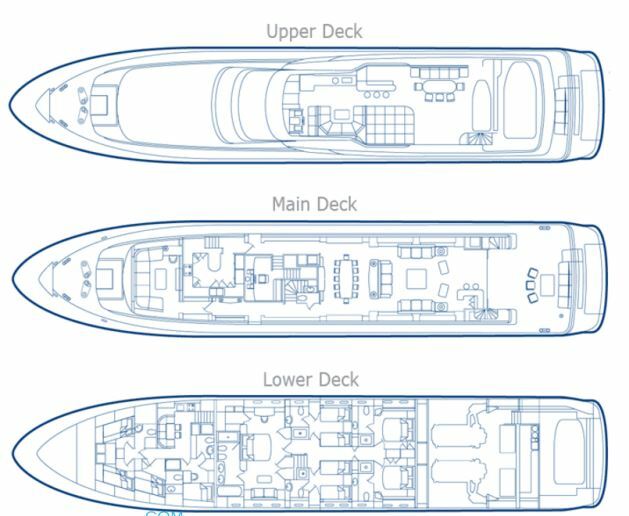 She is built with a GRP hull and GRP superstructure, has a cruising speed of 14 knots, a maximum speed of 23 knots and a range of 1,000nm from 25,000litre fuel tanks. 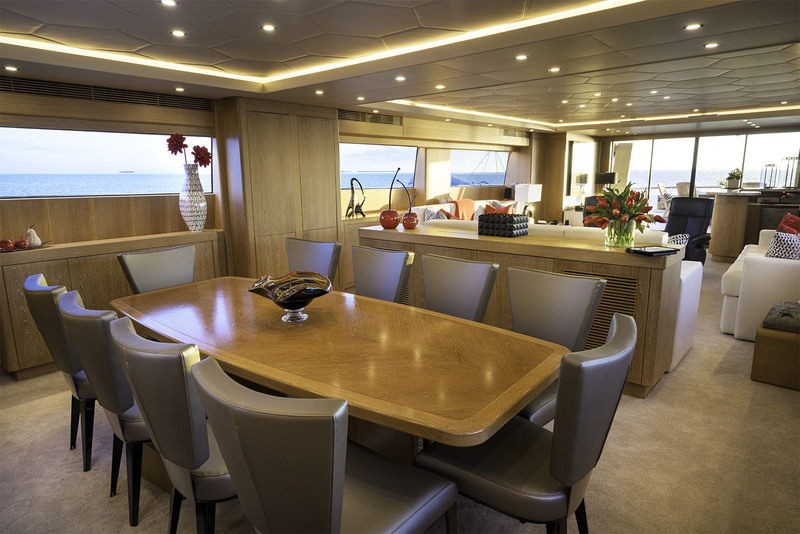 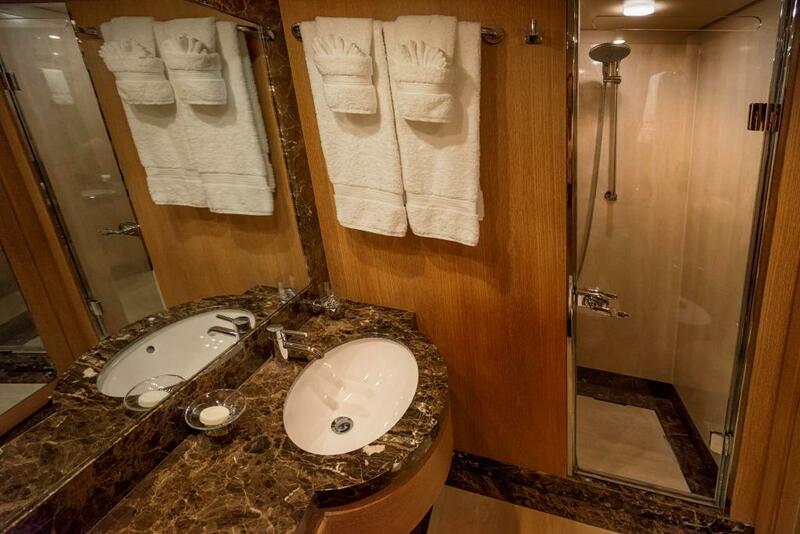 Her combination of style with performance makes her an ideal choice for friends and family seeking a memorable experience at sea. 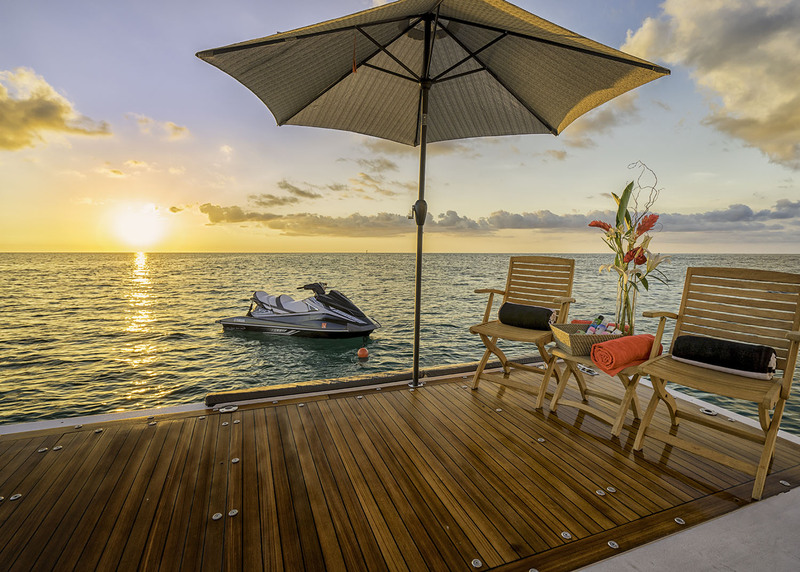 Toys onboard include 2 x Yamaha Waverunners, 2 x 1 Person Kayaks, Banana, Wake Board, Kneeboard, Water-Skis, Towable Toys, 2 x Paddleboards, Snorkelling Equipment, Seabob, Fishing Equipment, and 4 x Sea-Scooters, sure to keep guests of all ages entertained.